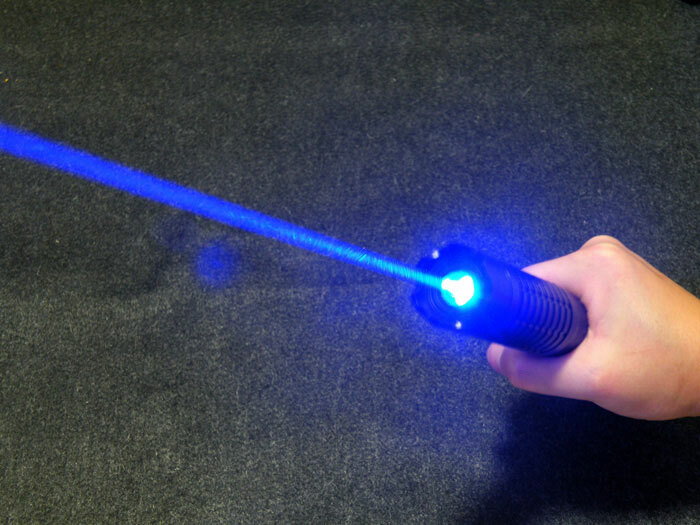 This 2000mW blue laser at 445nm and is one of the world's most powerful blue lasers. 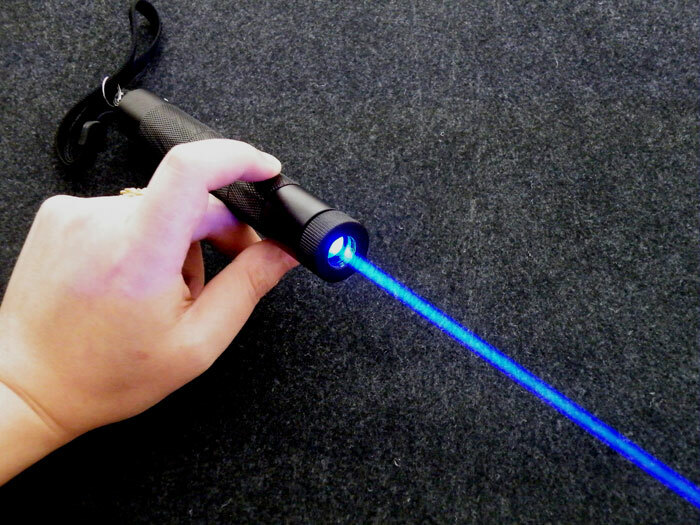 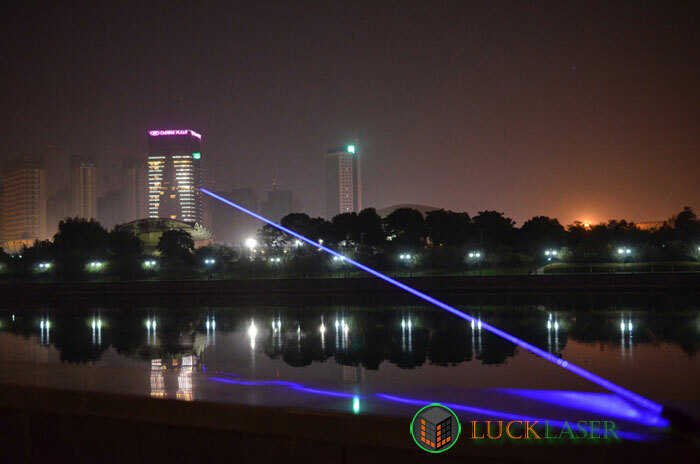 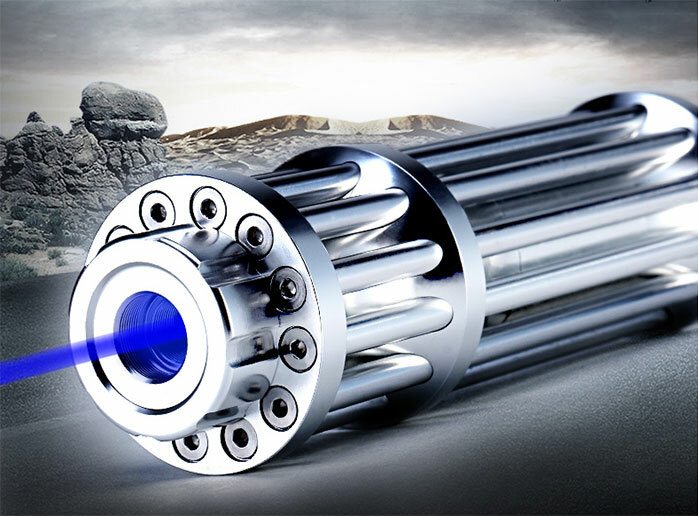 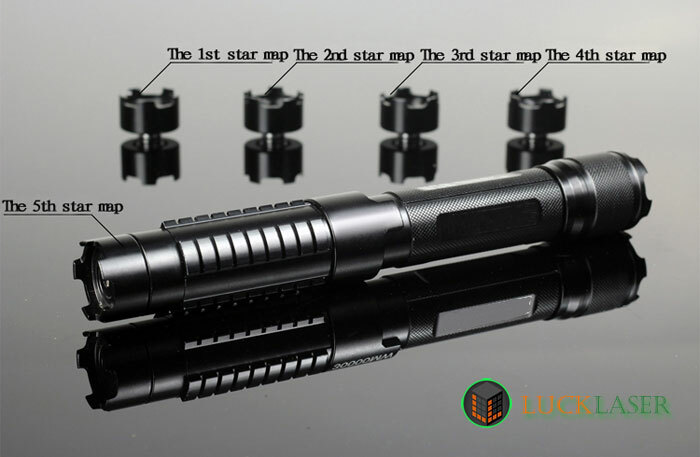 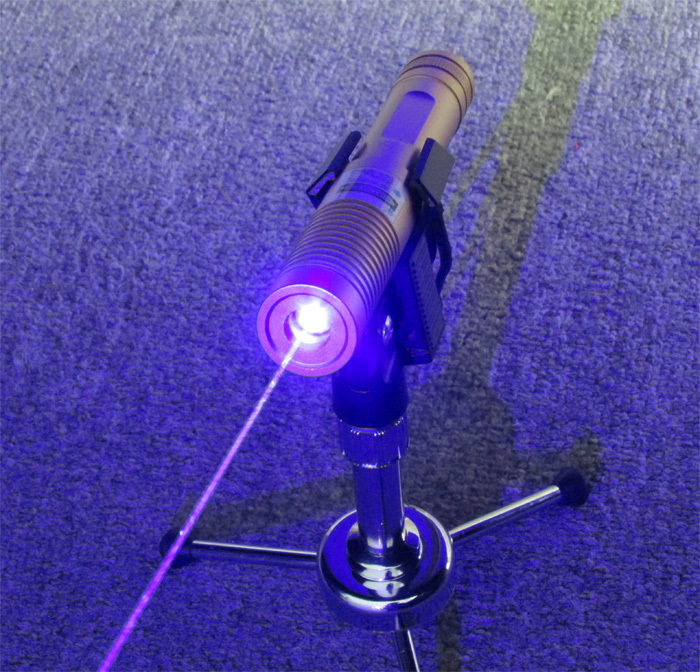 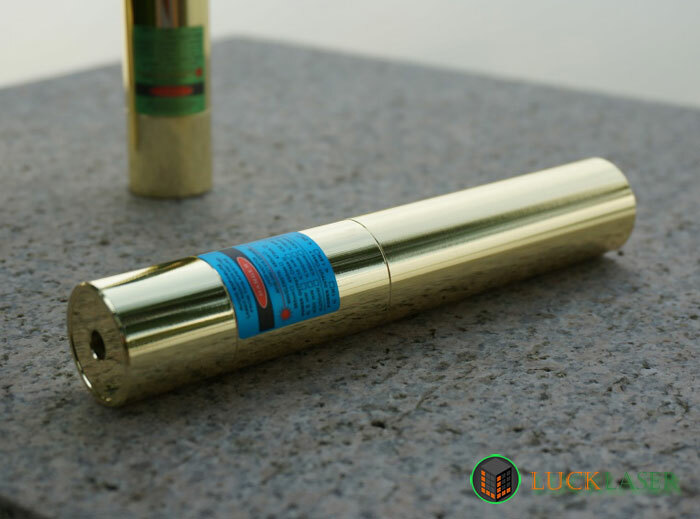 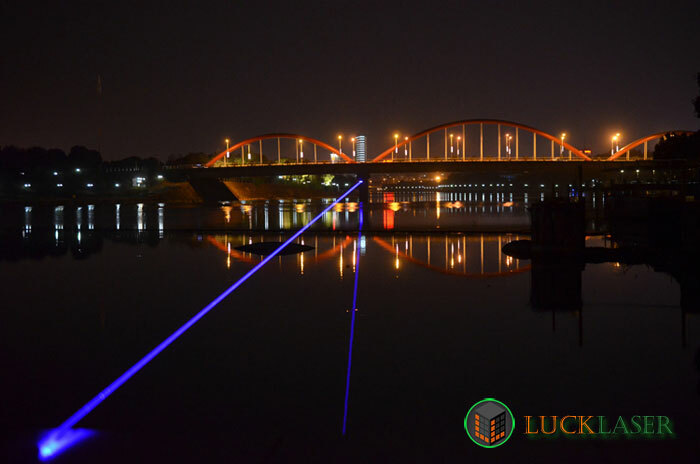 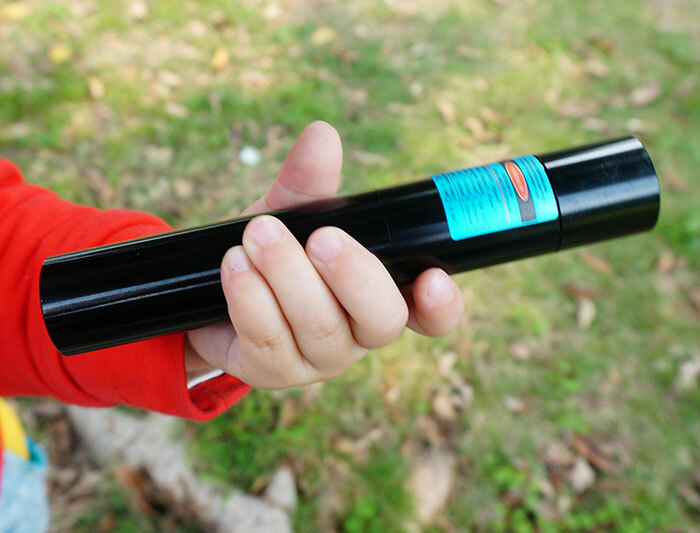 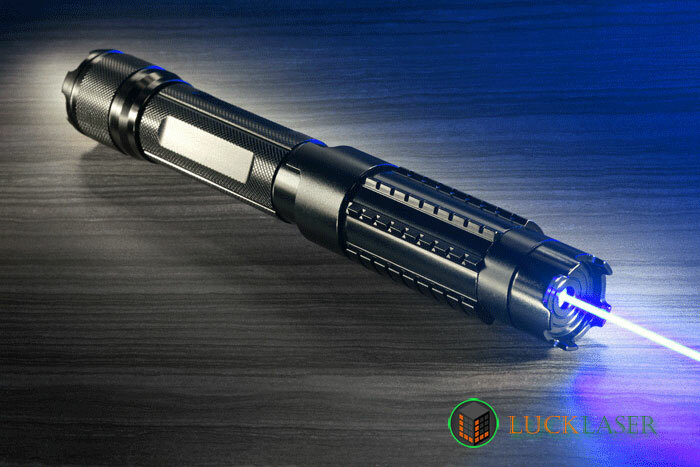 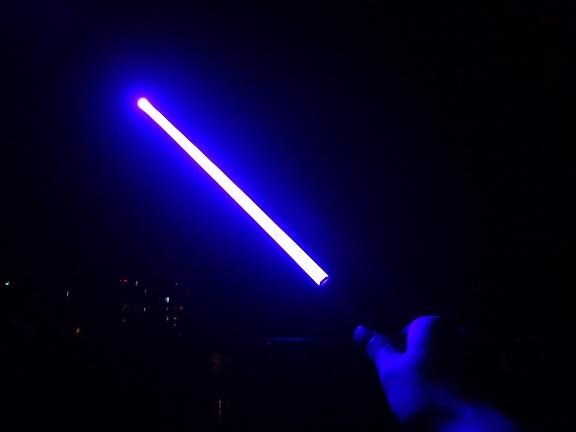 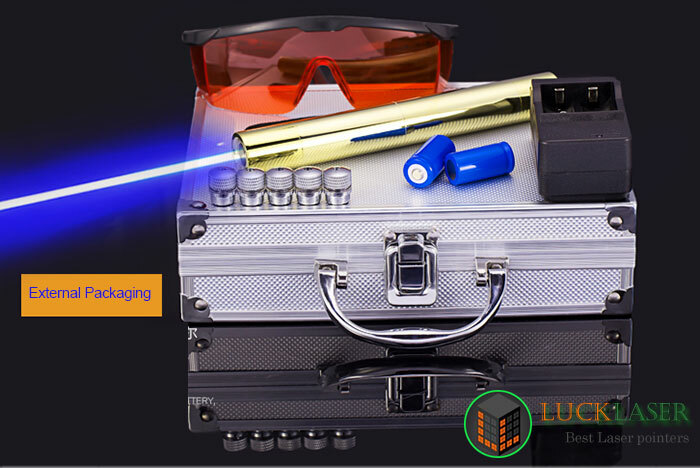 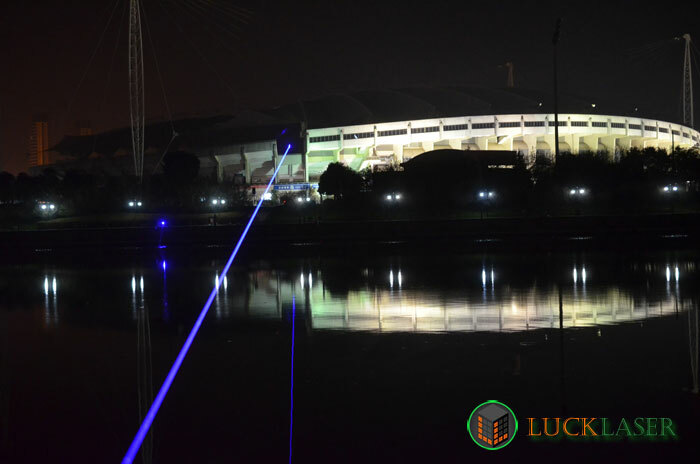 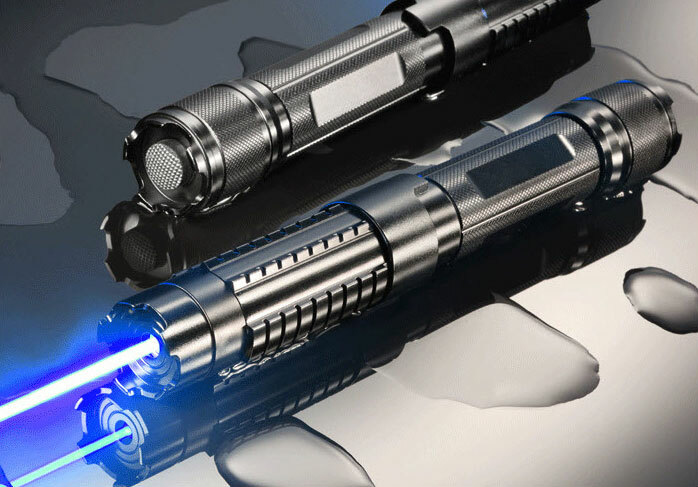 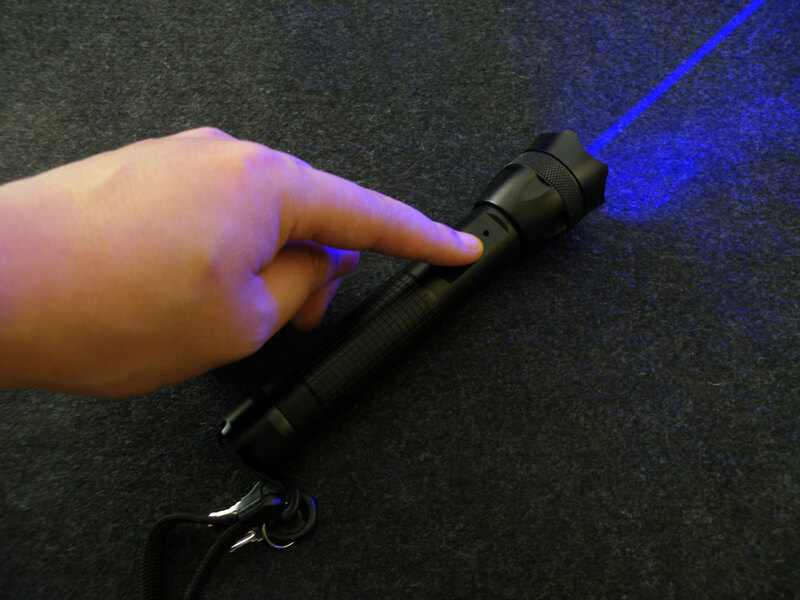 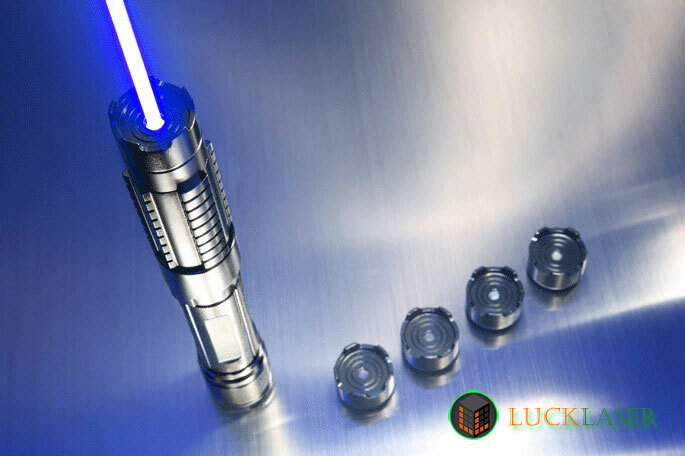 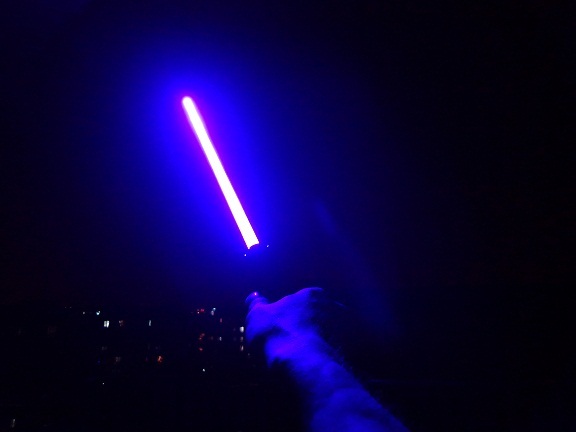 Functioning with internal cooling and unlimited duty cycle, this burning blue laser is matched by no other. 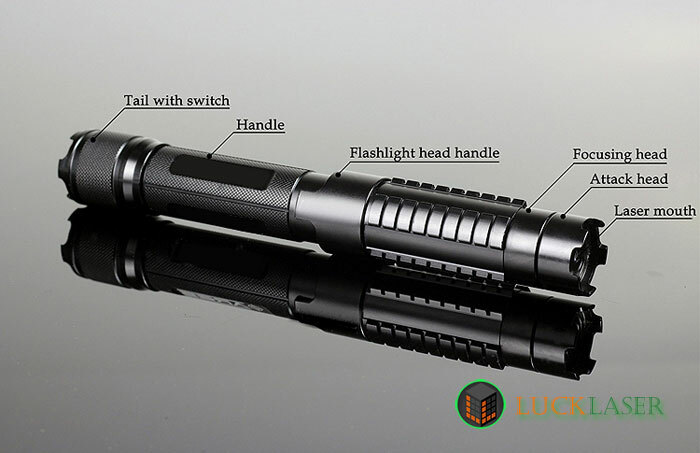 Also, included are free accessories, free shipping, as well as a one year warranty. 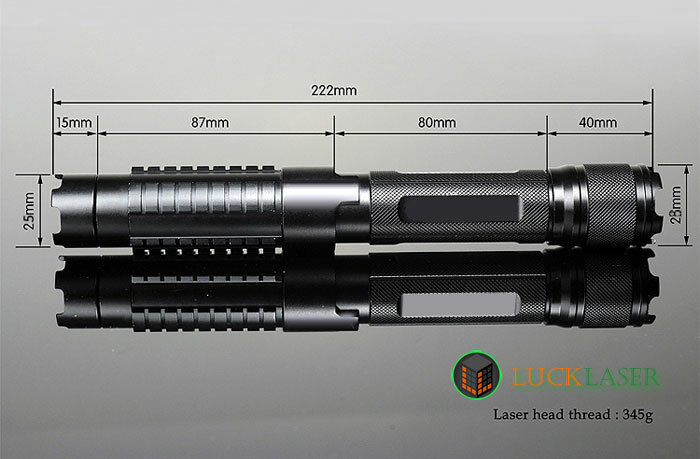 Adjustable Focus - Pinpoint accuracy and spot distance to target at close or long range. 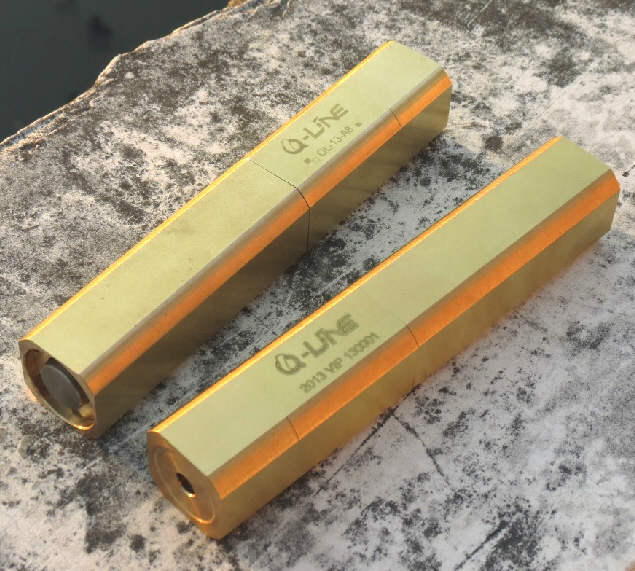 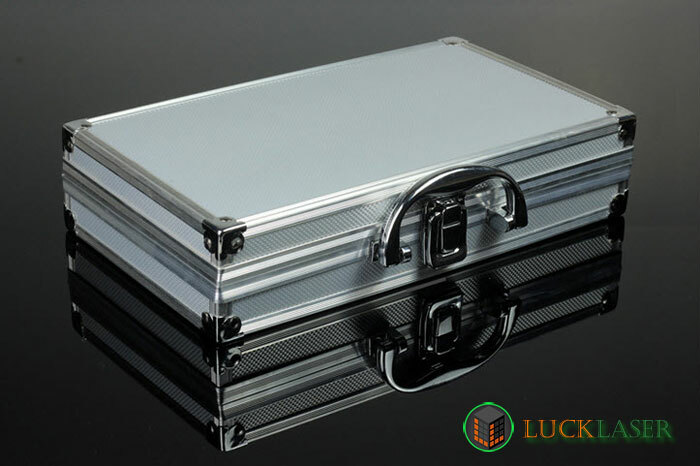 Improved laser body - Aircraft grade aluminum chassis, fully tested and proven engineering. 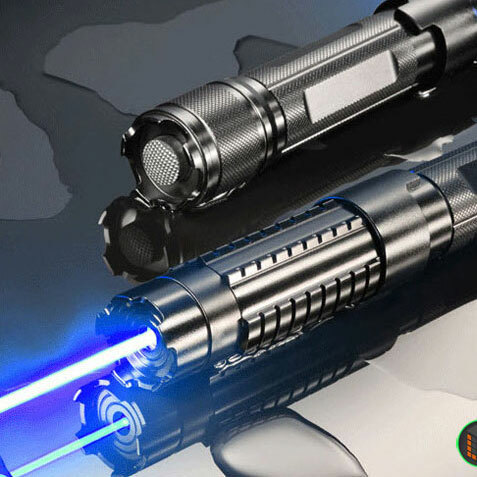 Lens Kit Included - Use stunning visual effects with the included lens kit.